I found this alien looking broccoli in near by food store. Was super exited to try this in my recipe. It offers a distinct, nutty flavor described as more intense than broccoli, this pale, green vegetable tastes like a cross between broccoli and cauliflower. I am using few more fancy vegetables to make it a real exotic salad. Simple recipe but turned out to be very tasty. 1) Heat the olive oil in a wok. 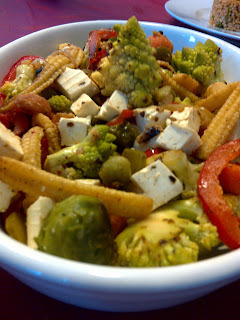 Add garlic as smoke starts, immediately add all the vegetables (Broccoli, cabbage, carrot, bell pepper and baby corn. Season it with salt toss until few crust forms over the vegetable. 2) Transfer it in a salad bowl. Add feta cheese, pickled cucumber and onion with some freshly crushed black pepper. Throw some roughly chopped basil leaves. 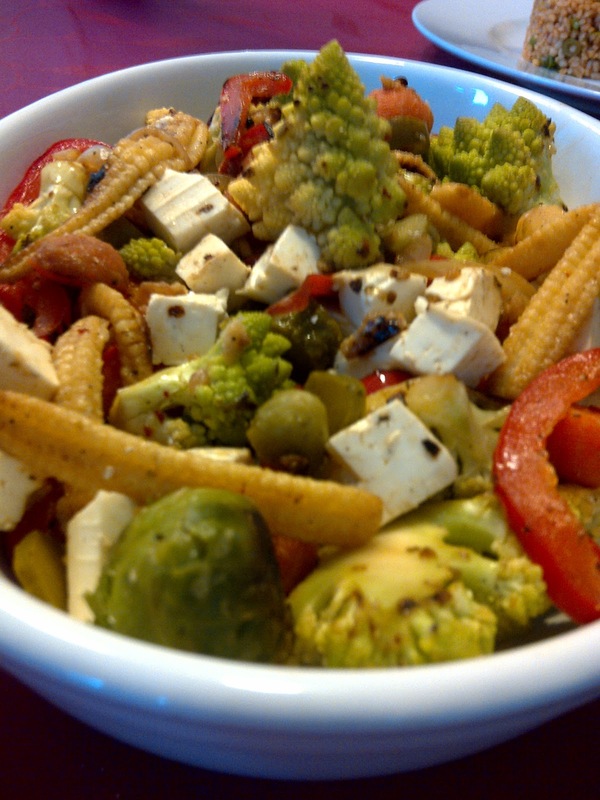 3) Mix well and you are ready with a exotic, sumptuous and super healthy salad.